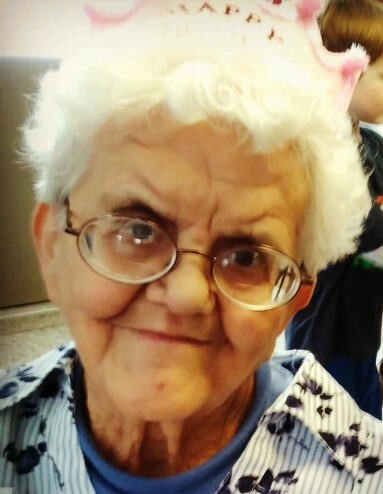 Shirley Ann Kurtzweil, age 91, of Hancock, passed away Thursday morning, March 21, 2019 at Theda Clark Regional Medical Center, Neenah. She was born March 5, 1928 in Milwaukee the daughter of Floyd A. and Lucile E. (Decker) Bishop. She married Paul M. Kurtzweil on Aug. 30, 1946 in the town of Seneca, Green Lake County. He preceded her in death on Oct. 21, 1996. Shirley and her late husband resided in Milwaukee where she worked as a cook for the Milwaukee School District. They moved to Hancock in 1979. She was employed as the head cook for the Waushara County Department of Aging for many years. Shirley loved being with her family and she enjoyed reading and puzzles. She was a member of Rogers-Oestreich American Legion Post 343 Auxiliary. Shirley is survived by her children: Paul M. (Anita) Kurtzweil Jr., Kathleen Kay “Kathy” Peterson, Donna Jean Kurtzweil, Debra Jo Talley, Ralph “Randy” (Orea) Kurtzweil; 21 grandchildren; 49 great grandchildren; seven great-great grandchildren; one brother Junior Bishop; four sisters, Florence Withers, Vivian Brewer, Ramona DePew, and Marion Fude. She is further survived by nieces, nephews, other relatives and many dear friends. In addition to her husband, she was preceded in death by two daughters, Sharon and Janette; two sisters, Beverly and Barbara; and by one brother, Myron. Funeral services will be held on Monday, March 25, 2019 at 11 :00 a.m. at Hancock Wesleyan Church with the Rev. Eric L. Hambrock officiating. Burial will be at Fish Lake Cemetery, Hancock. Visitation will be held on Monday at the Church from 9:30 a.m. until the time of services.